Degarban, a state-run website in Iran posted a report on November 10th quoting a speech made by Iran’s military chief of staff. 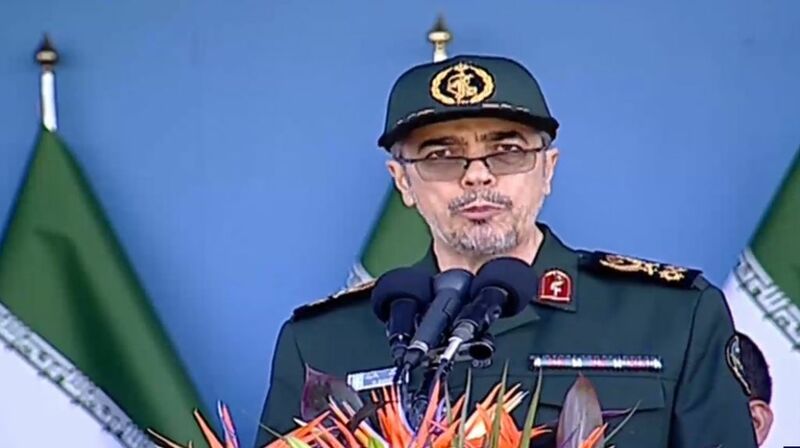 Iranian military chief of staff Mohammad Hossein Bagheri said Iran has in recent years made missiles in Aleppo, used against Israel in the 33-day war. Hassan Tehrani Moghadam, the father of Iran’s missiles industry, made those missiles in Syria with the aid of a group of his colleagues, Bagheri added. Iran’s military chief also referred to Iran providing missiles to the Lebanese Hezbollah, describing such measures as Iran’s support to the needy countries. “Ask your navy commanders what their seamen did when they were arrested. Trump threatening to strike Iran in the Gulf is nothing but a joke,” he added in response to Trump’s recent threats. Of course this news report shows how the Obama Administration’s eight years of appeasement vis-à-vis Iran encouraged Tehran to further its support for terrorism and expand its meddling in regional countries. Without a doubt President-elect Donald Trump should take firm and serious steps against this regime to resolve the destructive outcome of this policy during the past decade.